This is the Epic Seven – Artifacts list. Artifacts can be very useful during your gameplay. Especially, if you can have a good combination of an artifact with a high rank character. This artifacts list will provide some overall insights into each artifact from 3-stars to 5-stars. So, you can have some understanding of their use and combine with your favorite teams/characters. This table is optimized to be used on mobile devices. However, for best visibility, it is highly recommended to use this table on desktop. Durandal 5-stars YES YES Good at grabbing turn between enemy's attacks in PVE, especially for characters who need their turn to come as often as possible. Often used in a tank roled Warrior, such as Ravi when she lacks hp to tank enemy wave. For PVP, useful when enemy has opening AoE that drops your character below 75%, makes enemy really suffer for hitting your Ravi when it procs. Sigurd Scythe 5-stars YES YES One of best artifact for Tank warriors. Example is Ravi or Warriors who do not have life steal like both Kens. Due to the requirement is half or below hp, not recommended to squishy warriors such as Sigret. However, if your character gets a turn under half hp and alive, even Sigret can perform well. Synergies well with Abyss life steal set if your character is at a point of going back and forth from near death to full hp. Watch out for nukes coming in when you are just above half. Rhianna & Luciella 5-stars OP OK Best thief artifact, with couple key points. First off, in PVP if this procs, you pretty much won. But you are risking of not having artifact 80~90% of the time this artifact does not proc. This artifact synergies extreamly well with characters with additional turns, due to turn loops, such as Karin and Cidd. (Additional turn from skill can proc Rhianna again, and duplicate procs will save additional turns.) Third and reason Dust Devil is still useful is that ADDITIONAL TURNS CONSUME BUFFS. You take DoT damage faster and your defense buff expires quicker. Main reason why characters like Karin do little damage and dies easily in late game if used irresponsibly. Also works like a charm if your thief is skill dps and getting rid of non DoT debuffs as well as healing from HoT. Elbris Ritual Sword 5-stars OK YES Useful for any tanks who has amazing 1s, or have some combo built with it. Example is Charlotte, she is only usable in PVP with this artifact due to her resource system. Fun result from this artifact is when characters with additional turns like Karin gets hit by character with stun on 1s, their additional turn is spent for the stun instead. Counter set does not increase the proc rate of this artifact and this artifact does not give the user any counter rate. For PVE, this artifact needs to be given to a tank in a back row due to this. Abyssal Crown 5-stars NO OK RNG artifact, unusable in PVE due to 99% of the bosses being immune to stun. Useful for any characters with AoE, even Mercedes can become a nice support with this. Issue is the 12~24% proc rate. Note that even if this procs, it has to go through enemy's resist roll. Song of Stars 5-stars YES OK Damage increase artifact, which multiplies your final damage by 15%. Very high proc rate and it lasts 2 turns, being super useful even at +0. Recommended to character who use 1s often and is likely a support. For PVP, has an issue that the DI effect occurs after you did the damage, and does not work with AoE skill. Uberius's Tooth 5-stars YES YES Approx 30% bonus damage when you crit, 50~100% proc rate. Like DoTs, this damage happens after your intended damage and should not proc hit related effects on enemy. Misleading part is that the 30% bonus damage is based on your attack stat, just like Burn or Bleed. Due to this, characters with high crit damage benefit less while characters with attack stat booster like Lorina benefits well. For PVP, this artifact does not require hp threshold so it is amazing. Due to the crit damage issue, considered to be outperformed by Tonfa in PVP. Also this does not work with AoE. Holy Sacrifice 5-stars NO OK 50~100% chance to revive on death. One time use, so better be the final fight. Useful for characters who really shouldn't die from a single nuke, but enemy can always kill you again. Useful for game changers like ML Armin, but until you max this (5star artifact btw), you risk of not having artifact basically. Wind Rider 5-stars YES OP Usually on kill is not effective for PVE, but this is for thieves and the damage is 30~60% multiplier. You risk of not having artifact until you score a kill, but when you do, you have godlike damage. Damage multiplier happens on the kill as well not on the stealth part, so bit redundent on ML Coli. Synergies too well with characters like Cidd ML Karin who can assassinate a target at opening. Especially Cidd because his additional hits will gain the damage multiplier if the target died before the additional hit procced, but as this does not consume a turn, you are still stealthed and maintain multiplier for next turn. This also keeps your squishy thief safe from harm unless enemy has AoE. Otherworldly Machinery 5-stars OK YES Better Tonfa for AoE archers. Sadly only archers with AoE without cooldown is Yuna and Celeste. This is also Yuna's cellphone. Etica's Scepter 5-stars OP YES 25~50% cool down reduction when your turn starts. While it looks worse than Candle, this does not require you to get attacked, and mages will likely die when they are. Also mages usually rely on skills to do anything so this basically stabilizes their DPS. Less synergy to mages who actually have useful 1s or 1s is part of the combo. Time Matter 5-stars OK OK Wind rider for mage, but mages are usually AoE or debuffers who lacks at securing the kill. Does have cool down reduction but fails to keep the mage safe until the next turn. Also unlike Wind Rider, the damage boost is one time use, so additional hits will consume it and you won't have it when your turn comes. Very effective for Carmine Rose, who needs cooldowns reduced and is a mage who specializes in slaying 1 target. Rod of Amaryllis 5-stars OK YES Heals dying unit when you use non offensive skill. Decent additional heal, but it won't heal as much for low hp characters and the user will likely have to use 1s at some point. Shimadra Staff 5-stars YES YES Spirit visage for League players. This increases heals, HoT, and even life steals. Bloodstone 5-stars YES OK Life steal that can be used to heal others, as it heals teammate with lowest health. Since Archers can do alot of damage, it kinda turns archer in to a healer, if you are running low on heals. Celestine 5-stars YES OK Unless your name is lots, you will be using 1s as much as other skills, so this will boost your heal per turn by far. Sadly in pvp, diene seems to be the only healer who gets to use 1s when their teammates are alive. Wondrous Potion Vial 4-stars OP OP Must have for any support who do not have cleansing skill, or even if you do have one, for insurance. Reason is that the artifact procs before anything else, so your character can avoid DoT damage, IGNORE STUN and such. at max lvl, it has 100% proc rate, so it makes your PVP and other contents much less luck dependent. Ironically it has an issue where if enemy bombards you with DoTs, you have to rely on luck for the artifact to remove stuff like stun over 1 stack of bleed. Fast character without cleansing such as Lots benefits well with this. Aurius 4-stars YES YES Your team gets higher defense permenantly and everyone but the user gets 10%~20% damage reduction. Only downside is that the tank receives portion of the damage the target would take, so your high def tank will be taking noticable damage if your squishy mage with def debuff takes a hit. While the effect may seem small, it often makes the difference of character being 1shotted to surviving with 3 digit hp. It should not be proccing counter set effect for the 10% damage that is redirected to you. Sashe Ithanes 4-stars OK OP Action bar for team. OP, but catch is that it requires a kill. Amazing for certain PVE contents like Fire Alter (low hp 4 adds spawn when the boss uses charge attack) but usually does nothing. For PVP, if you thought Tieria turn pull is op, this makes anyone in your team Tieria if they can score a kill. Works well with opening assassin such as Cidd. Remember, ML Purggis and Tieria is 10~15%. This is 15~30%, and in PVP bodies hit the floor quickly. Kal'adra 4-stars YES OK Damage multiplier if enemy has debuff. As most mages have toolkit that requires you to chain debuff skill with a nuke, this makes the latter terminate foes really well. Only issue is that it is a combo artifact, needs someone to land debuffs on the foe. El's Fist 4-stars YES OK Sort of ML Karin passive as artifact. Likely the stat increases at 75%, 50%, and 25% mark and it is a multiplier. This leads to huge damage and speed boost, but the character is likely dying when this is in effect. Useful for characters who can delay death at 1 hp, aka combo with ML Archates. Has suprisingly good effect on tanky Warriors such as Ravi. Sira-Ren 4-stars YES YES Random debuff, works with AoE. Amazing artifact because it is easier to get, and has 25~50% proc rate compared to the 5star version that stuns. The debuff is random but due to the power of debuffs in this game, it is hard to go wrong with this. Best for Mage supports with AoE who is not expected to do damage. Note that this artifact does not proc some debuffs, and that sleep is basically a stun if you do not attack them. Rosa Hargana 4-stars YES Ok Amazing artifact for archer who needs to use 1s alot, preferably due to 1s effect or just being an amazing DPS. It makes follow up attacks happen much more frequently but it is still a low change that discourages its usage in PVP. Schuri needs this artifact to work, for his AB pull passive does not pull his own CR unlike Tieria. Has extream synergy with Basket. Hilag Lance 4-stars YES YES Tanks are usually slow because you want them to be, tanky and you usually expect tanks to take hits, which does not require a turn. But many tanks have team buffs that are vital to your survival, and this artifact helps your tank get the turn they need. Most PVE enemie do not have AoE so it works great, for PVP, having this and ML Purrgis makes enemy lose first turn fight with single attacks and AoE. Has Synergy with tanks with cooldowns as countering does not reduce your cooldown. Dust Devil 4-stars YES OK 15~30%, much higher proc rate than Rhianna. Sadly only procs on 1S, and artifact does nothing if your initial strike kills the target. After nerf, this artifact no longer procs bonus effects that combos from the 1s, such as Sez's passive or Alexa's 1s additional hit. Still very useful and sometimes even better than Rhianna for characters who rely on 1s, and has passive that empowers 1s directly, such as Cidd. Sez works well still since his 3s is saved for the final blow, but as mentioned he has to bring enemy to half health at the first hit otherwise the passive will not proc. THIS ARTIFACT DOES NOT CONSUME A TURN so buffs and DoTs do not breeze through! Lastly, THIS ACTIVATES ON FOLLOW UP ATTACK! You thought Ras + 1 was painful enough, now it is Ras + 2! Magaraha's Tome 4-stars YES OK Amazing artifact since many characters have 2 heal and such, so you have 2 procs. Sadly the effect is in response of your turn, so it does not help on grabbing the first turn, and pvp is bit too short for second turn. As for PVE, main issue is that both of your skills are on cd and now you don't have artifact. Recommended when your character has skill upgraded to reduce cooldown and such. Not so popular due to other artifacts being much easier and perform better. Water's Origin 4-stars YES YES What makes Destina a tank early game, and what makes cutting off healers dangerous in pvp. 10~20% action boost is the main part for pvp, giving your character chance to throw buffs at unexpected timing. If enemy lacks damage, but enough to hit the 20% requirement, you have a character with 40% damage reduction with turn returning left and right. Iela Violin 4-stars YES OK On attack, removes 1 enemy buff. Sadly the rate caps at 80%, and quite several mages can remove 1 to every buff target has. Kind of like Wonderous Vial, makes certain characters much more verstile, while it may not be required for some. Tagehel's Ancient Book 4-stars OK OP Good luck at getting dupes and hit +30, because it is very worth it! while it is less effective in PVE, for PVP this allows soul burn usage which is usually impossible. Of course, your defending team has no use with this, so don't use it on the defending character. Common strategy is Cidd to use soul burn to empower 3s, securing a kill. (and he only cost 10, +0 Tagehel is enough!) For PVE, every now and then users face issue of Elson buff ending too quick since you start the game with 0 soul, this artifact can somewhat help with that 3rd turn issue. Infinity Basket 4-stars YES YES Reverse Rosa. Instead of buffing self, this buffs all others. This is useful to archers who gets their turn faster, unlike Rosa which would be for slower. Often used on Silk, requires bit more work to have a proper synergy as it relies on the other 3 characters in the team to synergize. Works like a charm with Taranor Spear Guard, but does not mean he is the only one who will be triggering the follow up attack. SYNERGY WITH DUST DEVIL as Dust devil procs on follow up attacks as well. Elyha's Knife 4-stars OK YES Gives armor pen of small value. Usually overshadowed by other OP thief artifacts, but this artifact has the easiest requirement to benefit, which is to scratch the enemy. It means for PVP, you would need an opening AoE char of sort. Like most penetration stuff, this artifact shines better as everyone gets stronger. Moonlight Dreamblade 4-stars YES YES Dodging in this game is amazing, it lets you avoid debuffs and crits, as well as combat readiness manipulation. 10% is bit small but when maxed, 20% is pretty decent. Also Attack buff is 50%. Wind Rider is 60% so it is amazing attack buff, down side being pointless if you have attack buffer in the team. Has potential to be used with characters with dodge rate, case being ML Kartuja giving team wide 15% dodge rate buff. Adamant Shield 4-stars OK YES Very useful artifact in PVP, since just about every DPS characters your tank needs to counter will be planning to crit. Sadly this artifact being OP was due to a bug that resulted in 40% crit damage reduction, currently it is nerfed significantly as THIS DOES NOT STACK WITH ANY OTHER DAMAGE REDUCTION. So you can not use this with ML Arming or Aurius. The game will only apply the effect that will result in the highest damage reduction. In this sense, what happens is that this artifact does not offer defense boost to team and reduces 4% less damage and enemy has to be critting for this artifact to do its role. But that does not mean this artifact is bad. 20% damage reduction of Aurius goes to kill the tank, this will ensure even the tank gets protection. Strak Gauntlet 4-stars OK YES Useful for warrior who is expected to take tons of debuffs, or you just hate debuffs. Increases resist significantly, so if you lucked out on gear sub stats and have no resist at all, this artifact could come to aid. Underrated a bit because people prefer to do damage than to bypass debuffs, and it kind of is true in current meta as many warriors have damage potential to kill whoever that may cast debuff on you. Hell Cutter 4-stars YES YES Put this on to any character who will not be using spd set or spd boots. Even in boss fight, if your 3 other characters are speedster, this will provide very good damage boost to your warrior. Issue is that the gain is balanced on basis of 4v4 fight, so as enemies or your team dies off, it becomes less effective. Also crit rate bonus leads to unstable crits, if not wasted because you build your character to max crit in the first place. Very widely used because most warrior artifacts do not provide proper damage increase. Cursed Compass 3-stars NO YES Must have for opening debuffer, such as ML Purrgis, Leo, Baal, and Kise. Issue is that it is only for the first attack performed in the battle. Prophetic Candlestick 3-stars YES YES Must have for tanks who have long cooldown and skills help teammates. Reason why Destina can perform as a tank. Totem is usually better if the tank can only save themself with the skill. Exorcist's Tonfa 3-stars YES OP Damage multiplier if enemy has more than half hp. This is must have for opening characters, if you do not have better artifacts, which are mostly all situational. (Has to be AoE, needs enemy debuffed, etc). Very useful for characters who requires enemy dead or reduced to half hp in PVP, such as Cidd, Sigret, Sez, and both Vildreds. Daydream Joker 3-stars OP OK Up to 3% max hp damage. Makes every support contribute to damage in PVE, but for PVP you are only expecting like none to 600 bonus damage. Misleading part is that this damage is treated as debuff, like DoTs. You need to pass enemy's resist check, and then the damage is further reduced based on the enemy's defense. However, the 3% damage does heal you if you have life steal. Nonetheless, this is what allows Rikoris, Tieria, Celeste and other fast supports do huge chunks of damage in Abyss. Labyrinth Cube 3-stars OK OK Random proc but the effect is very powerful as it pulls huge chunk of CR. Useful when you are running a slow turtle team against fast enemies. Atma's Portal 3-stars OK 1 turn cd reduction at the start of the combat. Well, at the start of the combat, only ML Corvus has cooldown. For PVE, does help starting from the 2nd battle. Goblin's Lamp 3-stars OK 1 turn heal at the start of the combat. Well, at the start of the combat, Everyone should be full HP. For PVE, does help starting from the 2nd battle. Oath Key 3-stars OK OK Useful for debuff characters or crit based characters. When you miss your attack, debuffs and crits do not proc, and this is so far the only way to decrease the miss chance. Sadly it is not effective enough to offset blind debuff, but does a good job at preventing miss on same element fights. Forest Totem 3-stars YES OK One of the artifacts with insane hp increase, and underrated due to its super low proc rate. The proc rate is indeed horrible, but when it does, it heals your character by 15% of their max hp twice over 2 turns. Overshadowed by candle which tanks and healers use to keep themselves and others alive, where as this one is strictly for self survival. Timeless Anchor 3-stars OK OK Alternative option for tanks who do not want debuffs. If your tank gets disabled by certain debuffs, this could work. Do note you do not get to pick which debuff gets cleansed by this. Envoy's Pipe 3-stars OK OK Would have been amazing if it was above half hp... while 20% damage reduction sounds alot for just under 50%, remember that this does not activate as soon as you hit under half hp. If enemy one shots you, this artifact did nothing. If enemy kills you 90% of the way, well this won't save you either. Egg of Delusion 3-stars OK OK Pretty much only option if your character has defense ratio and not going to be front line to proc candle. Sadly Aurius is upgraded version of this, unless you do not want your tank to be melted with redirected damage. Ascending Axe 3-stars OK NO Useful artifact for beginners, but late game when you build to make sure your character always crits, this does nothing. Best effectiveness in PVE for characters who lack just enough crit chance for this artifact to make 100% at max stack. 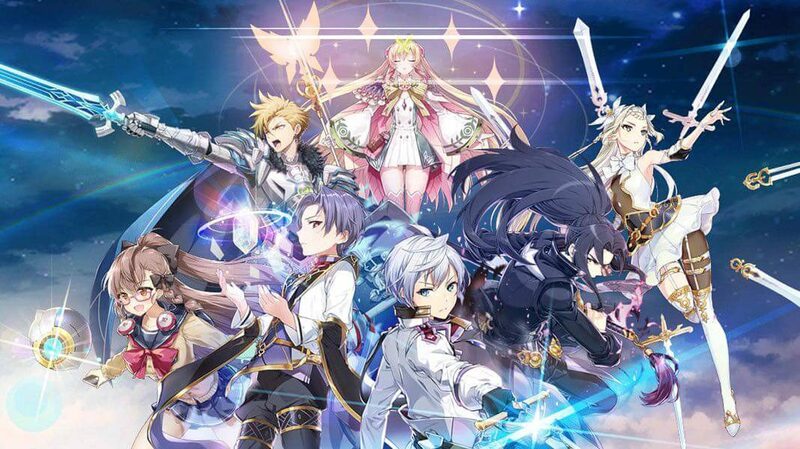 Aqua Rose 3-stars OK Ok Small shield for your characters. It has decent proc rate, only issue being that the shield amount is very small. If you know your character will be bombarded, totem, if not aqua rose will do better as totem has high risk of not proccing at all. Sword of the Morning 3-stars OK OK stat boost under half. However speed can lead to interesting results if the fight comes down to 1v1, as 20% to atk and spd is not a small value. Still suffers the issue that at half hp, you are kind of just expecting death. Compared to Yaksha, due to the speed buff, is much more useful as near death character with damage increase should try to get its final attack out before getting finished off. Mighty Yaksha 3-stars OK NO stat boost under half. Sadly at this hp, defense won't help you much on survival. Also, 10%? seriously? Technically able to boost your def ratioed tank to do noticablely more damage when this procs, if you do not own any of the op tank artifacts. Devil's Brand 3-stars OK NO Resist for team, and it is actually quite a decent value. Sadly resist is the most useless stat in the game at this point, even tanks usually take effectiveness over resist. Kind of last resort option to those who have no form of stable cleasing against PVE bosses who spam deadly debuffs. Alsacian Spear 3-stars OK OK Combat readiness reduction! too bad this is a 3star artifact! and does not proc on AoE! So what we have here is 5% at max reduction, which of course can be resisted if not you missed your attack. It is too small of a value to be noticable, but some people use it since most other 1s CR reduction play around 10~15% as well. In that sense, this is 50%~33% boost. Be wary of some PVE bosses are immune to CR reduction. Ancient Sheath 3-stars YES YES Dust Devil for non thieves basically, Boost 1s damage very well, no requirements other than being 1s. Sadly most of the characters with amazing 1s are thieves who have Dust Devil, or archers who would be using Rosa and such. Often overshadowed by Tonfa as Tonfa is for everything if enemy is above half hp. Many Ravi users who couldn't draw Sigurd used this. Ranon's Memorandum 3-stars YES Mucacha's passive on personal level. Really great for characters who are fast and needs turns fast, such as Tieria and Schuri. As Joker is popular for these characters as well, it basically means whoever equips this won't be expected to do damage at all and just prioritize at supporting. Couple fast support chars such as Lots could be using this, especially with his 2s to self to spam 3s combo. 10 stack won't be happening in PVP, does not last long enough. Grail of Blood 3-stars OK Sounds good on paper for high damaging characters, but even with attack set, the heal amount isn't really that great. At near death, you would be healed 900~1200 on end game 4k atk dps characters, who could have easily killed whoever caused the damage for this artifact to make up for.